Wenzhou Hongdeli Synthetic Leather Co.,Ltd. Hongdeli was established in zhejiang Province, China, the very first manufacturer in China adopting the wetting &drying process in PU synthetic leather, PVC casting leather, PVC CALENDER leather and semi-PU imitation leather, supplying P.P. non-woven fabric and PU resin production at the same time. In the past 15 years, Hongdeli has devoted resources to supply innovative products, expedite deliveries, and improve before and after services to its customers. After many years of continuous endeavor, Hongdeli is proud to be one of the top synthetic leather manufacturers in the world. It imported the internationally advanced production lines, including four PU dry lines, four PU wet lines and two PVC dry lines. The company has been assessed by Moody International Certification Limited in respect of Quality Management Systems and found to comply with ISO9000: 2000.We strictly control the quality of our goods. With properties similar to genuine leathers, PU artificial leather, PVC synthetic leather, Semi-PU synthetic leather, PVC calender leather, non-woven fabric, PU resin have been widely used in the manufacturing of shoes, handbags, garment, furniture, accessories, and sports equipment. Superior durability, good hand, and breathability have truly made PU, PVC synthetic leather a perfect substitute for genuine leather. 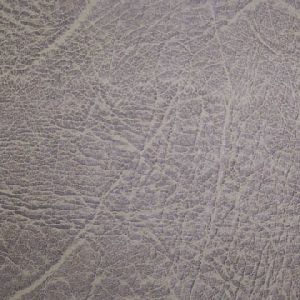 Hongdeli produces both woven and non-woven substrate PU coated leathers. The outstanding finishing techniques have successfully earned global recognition for its products. If you are interested in our goods, please do contact us in your convenience.